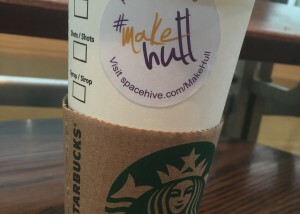 People in Hull have the opportunity to get their community projects funded with the help of some of the city’s leading businesses by crowdfunding through #MakeHull. 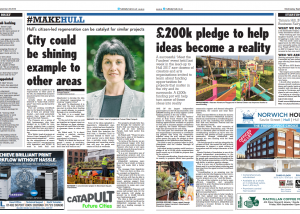 This joint initiative between businesses known as the Hull Pioneers and Spacehive will support people delivering creative projects in public spaces across the city in a bid to retain young talent and to attract 20 to 45-year-olds to work and raise their families in the area. 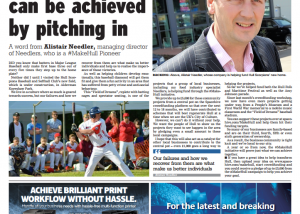 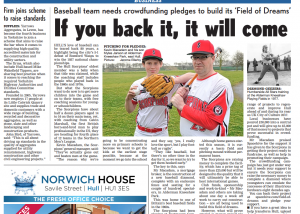 The businessmen have put in £50,000 so far to match-fund local projects, with more money on offer from both their organisations and local partners as the initiative grows. 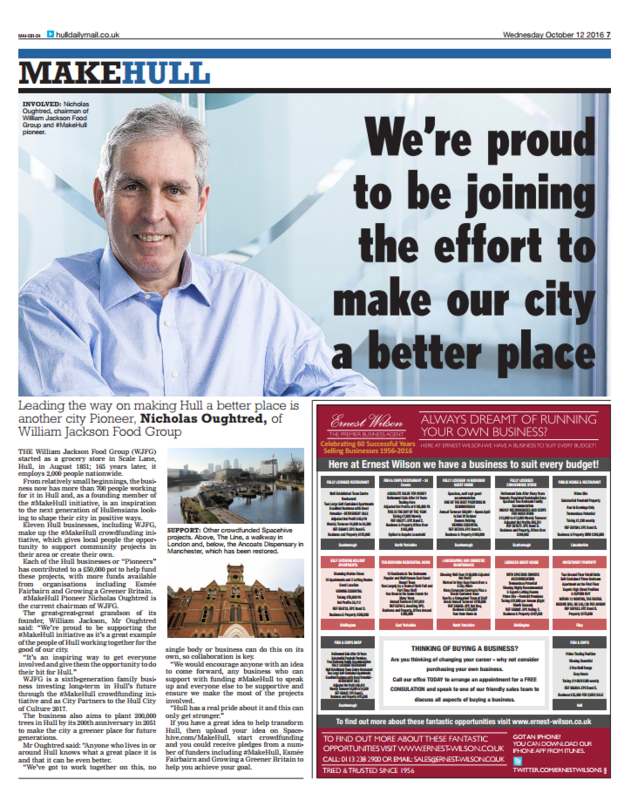 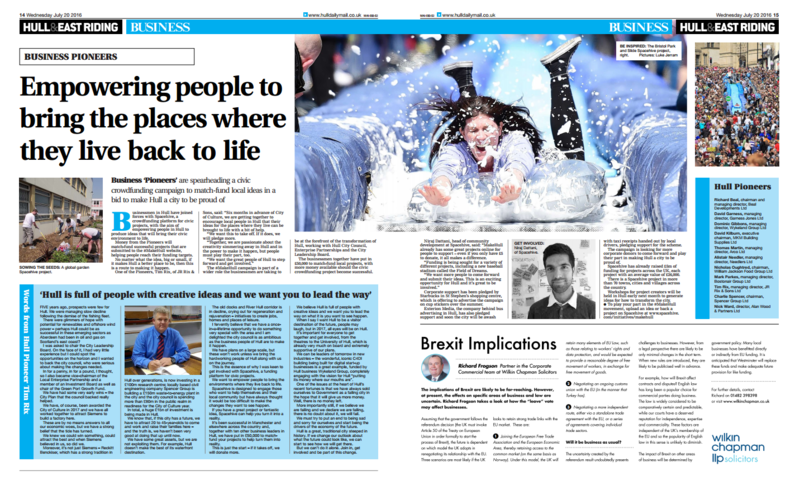 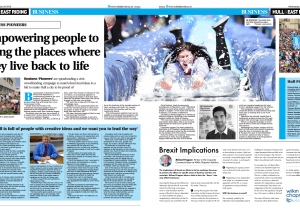 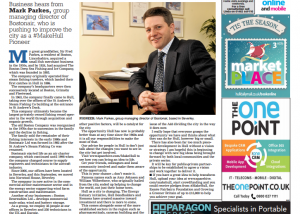 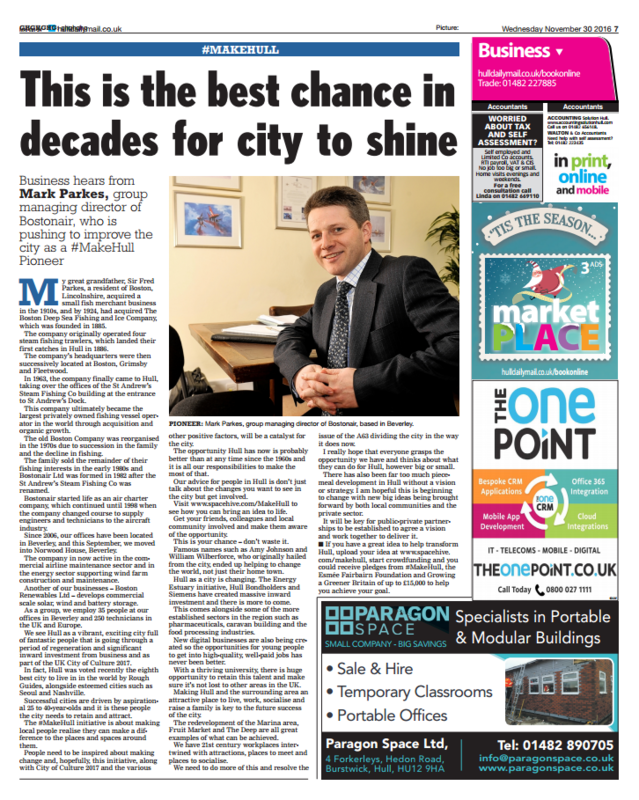 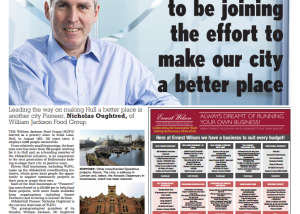 The #MakeHull campaign that places local businessmen at the forefront of the transformation of Hull is part of a wider programme set up by FCC and KPMG on ‘Developing a Scalable Citizen-led Development Model for Cities’. 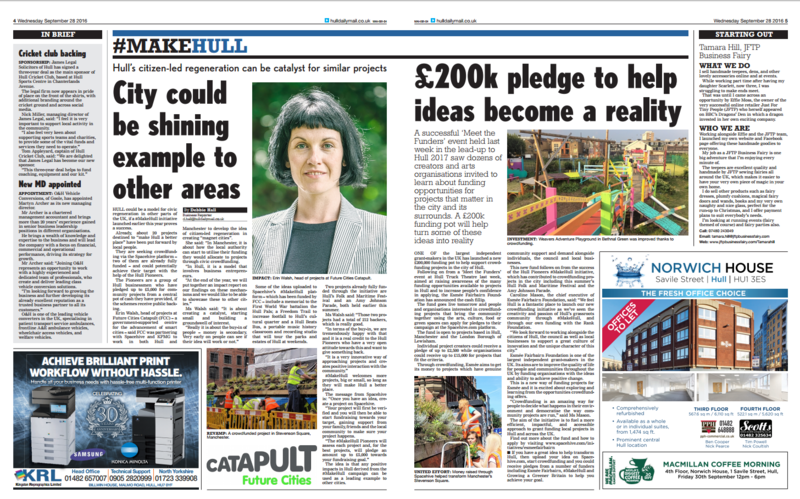 Alongside the eleven #MakeHull Pioneers businesses in the area have been supporting the initiative in a variety of ways. 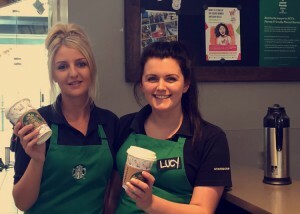 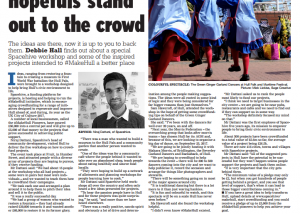 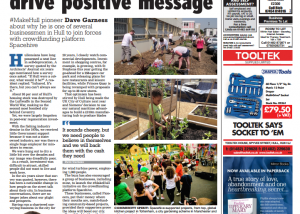 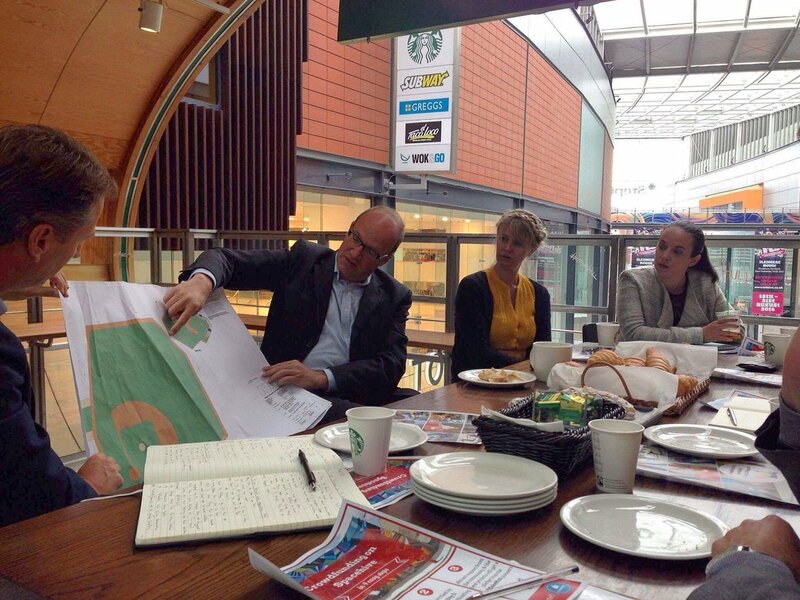 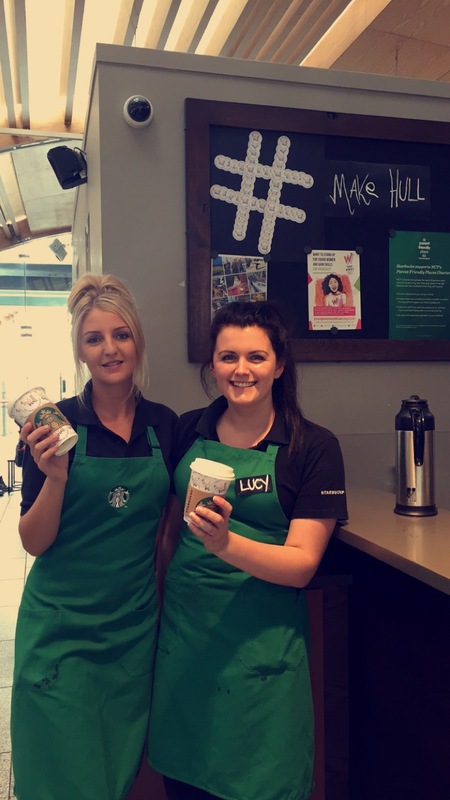 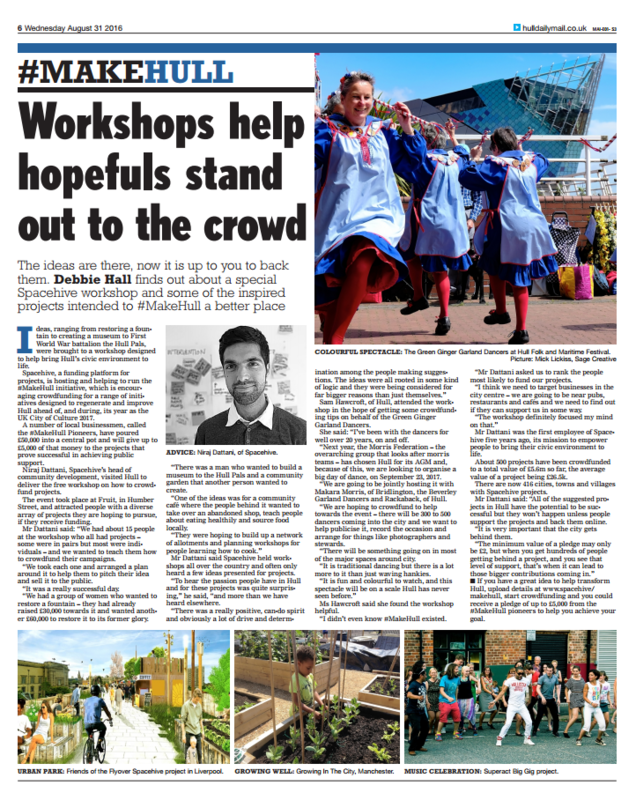 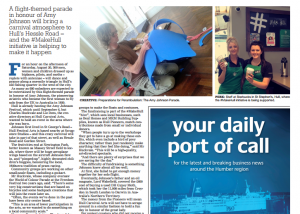 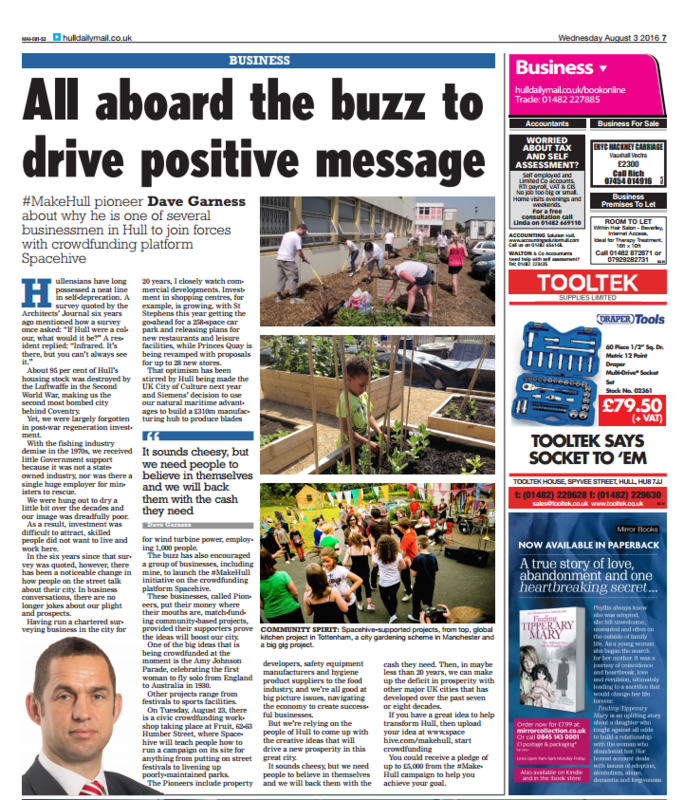 The Hull Daily Mail has been raising awareness of local project creators while Starbucks is advertising the campaign on their cups as well as hosting a blogger’s breakfast for Hull’s local influencers. 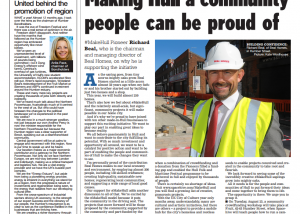 Exterion Media, the company behind bus advertising in Hull is helping by promoting the campaign on taxi receipts handed out by local drivers while Hull City Football Club has included #MakeHull in their match day programme. 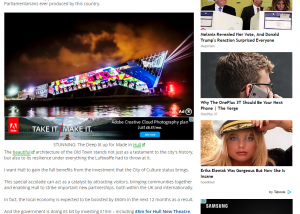 Regular events on stimulating ideas and how to run a crowdfunding campaign have encouraged 18 project creators to take up the challenge of playing their part to #MakeHull. 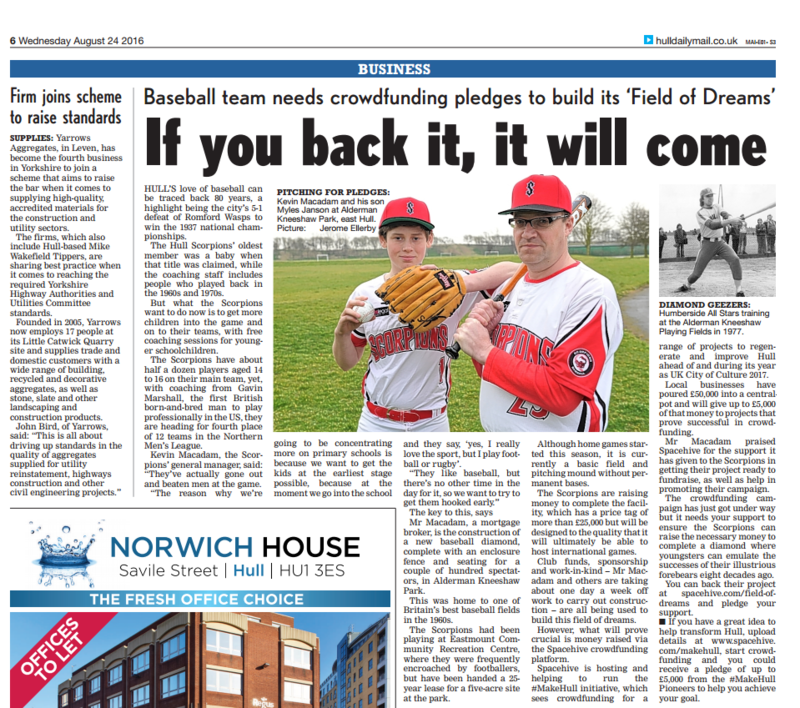 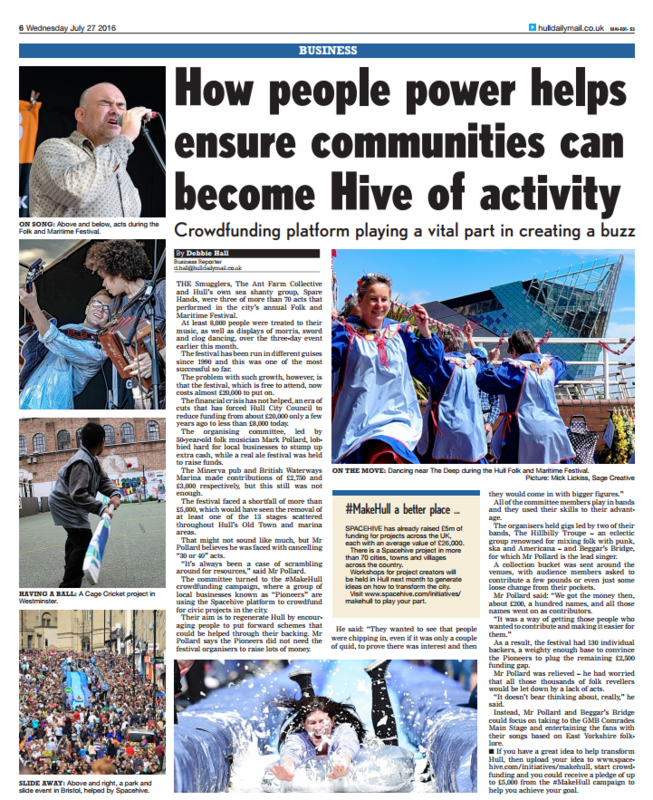 Early successes included the Hull Folk and Maritime festival and the Amy Johnson Parade but crowdfunding can work for all projects that work to transform a space from street art to sports stadiums. 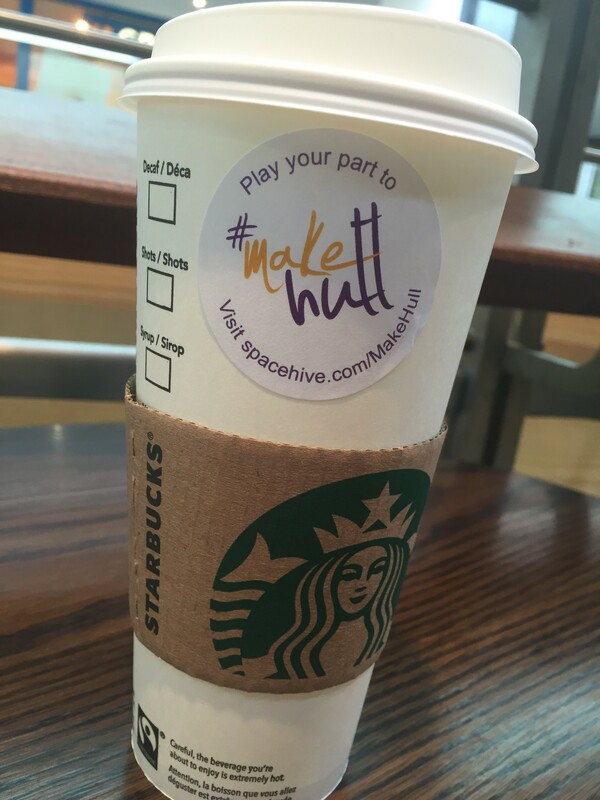 Spacehive is hosting and helping to run the #MakeHull initiative to regenerate and improve Hull as the UK City of Culture 2017. 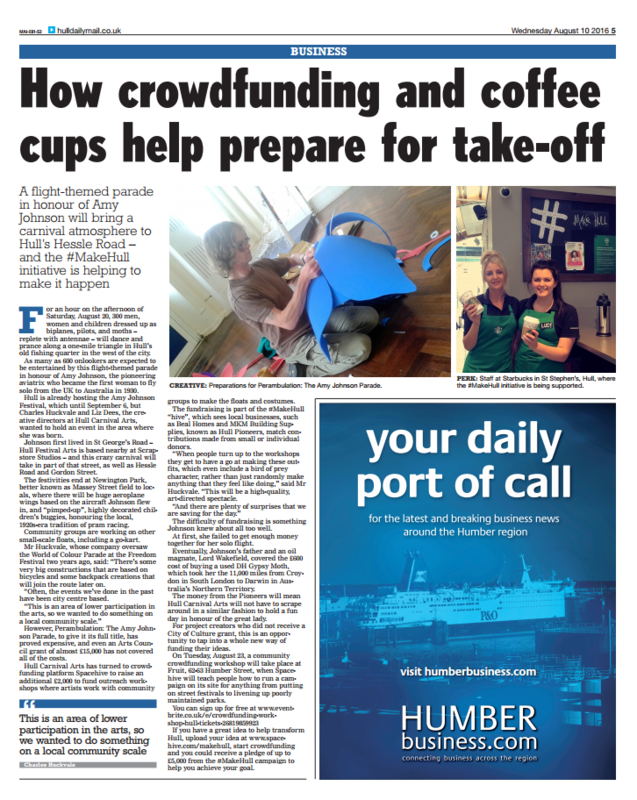 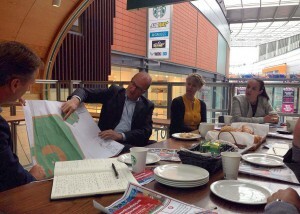 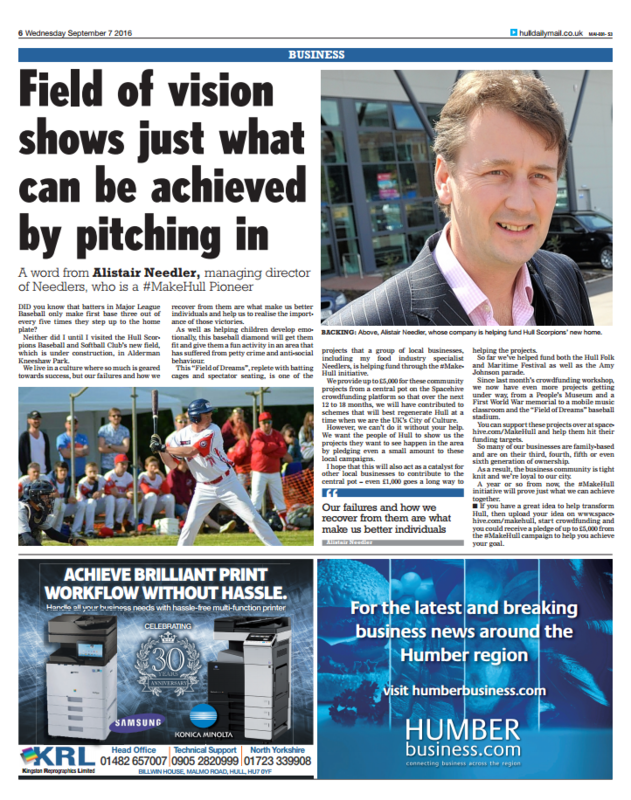 As more project creators join in, businesses are encouraged to play their part and help support Hull’s change-makers. 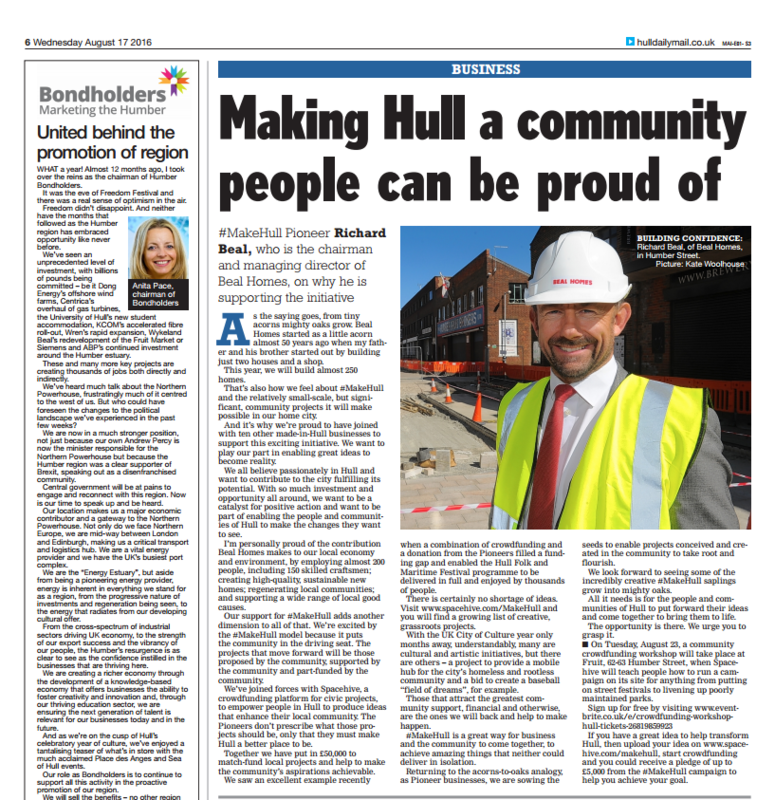 Find out more and learn how you can get involved either in Hull or through one of our many partners across the UK.